Patricia Abbott is the author of more than 125 stories that have appeared online, in print journals and in various anthologies. She is the author of Monkey Justice and Home Invasion and co-editor of Discount Noir. She won a Derringer award for her story "My Hero." 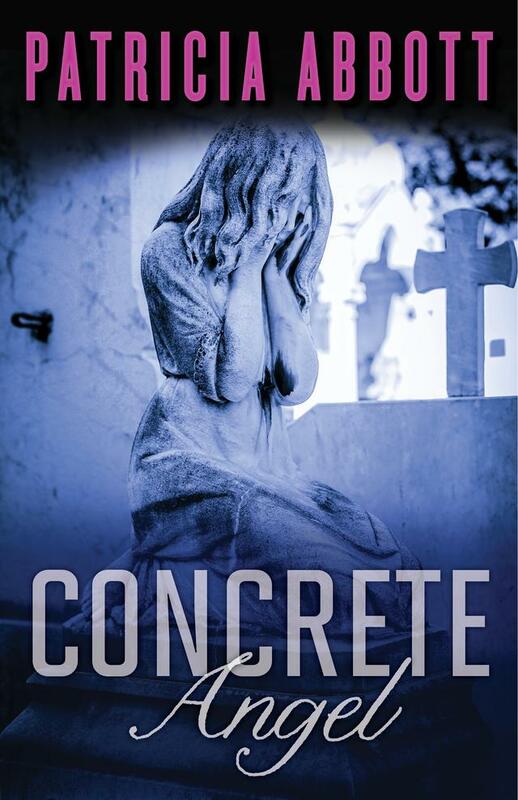 Abbott's new novel is Concrete Angel. As a writer of short stories, I am always drawn to a collection of stories and Russell Bank's new collection, A Permanent Member of the Family, went right on my kindle. Two of Banks' earlier books, Continental Drift and Affliction, were landmark works for me. In this collection we read about, mostly men, at pivotal moments in their lives. The title story was especially poignant: a divorced father watches his children's visits diminish after the family dog, who lives with him, dies. It was all about the dog is what he must take away. Bad Feminist (Roxane Gay) is a brilliant series of essays about being a black woman in 21st century America. She writes beautifully, and I was especially taken aback by her experiences teaching at a university in northern Michigan. Every person she met assumed that because she was black she was from Detroit. Although Gay discusses big ideas in Bad Feminist, she presents them in a down to earth way making them very accessible. And her references to pop culture icons and events makes it a treat to read. She can't help but charm you. Hush Hush (Laura Lippman) Lippman returns to her Tess Monaghan series with an especially strong entry. Her subject is motherhood and she manages to make us see the difficulties, perplexities, and joys of the condition in equal measure. When a mother, who killed her infant daughter in a post-partum depressive state, is released from the hospital, trouble ensues. A highly thought-provoking book. The Slaves of Solitude was written by Patrick Hamilton in 1947. It's an unusual book where very little happens and yet you cannot put it down. A woman must leave her job and home when the Blitz endangers her. She finds a home in a fairly horrible boarding house where a fellow boarder takes it on himself to bully her. How she finally rids herself of him keeps the paging turning. The subject and writing is mesmerizing. The Boys in the Boat was a selection of my book club and I was not enthusiastic about reading a book about rowing. Yet I found myself turning page after page in a frenzy. Daniel Jackson Brown pulls in all sorts of events of the time to enrich the story. We learn about rowing, the lives of the boys, Seattle in the thirties, the boat-maker and boat-making, the coach, the Depression, the dust bowl, various illnesses and their treatment in the times, Nazi German, Olympic politics, Leni Riefenstahl. Just an amazing book. And finally, right now I am reading Hold Still (Sally Mann). Especially amazing is how thorough she is in keeping artifacts from her life to highlight the book. Again, lovely writing. I have only gotten as far as the murder/suicide of her in-laws, which kept me up too late. The Page 69 Test: Concrete Angel.